A classic that shows the importance, for those preparing for the ministry, to grow both as scholars and as people of God. Originally delivered as an address in 1911. 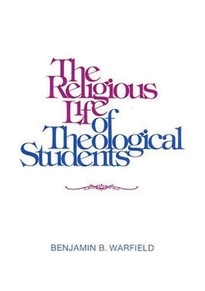 Benjamin Breckinridge Warfield (1887–1921) was professor of didactic and polemic theology at the Theological Seminary of Princeton.